Take Notice: Weiss Lake level could rise to near 570 as early as Sunday, Feb 24. Additional rains or other conditions could change this projection. Spill gates are open. Individuals with boats and water-related equipment and facilities should be prepared to take the necessary steps to protect their property. Take Notice: Logan Martin Lake level could rise to near 470 around February 23-24. Additional rains or other conditions could change this projection. Spill gates are open. Individuals with boats and water-related equipment and facilities should be prepared to take the necessary steps to protect their property. Lay spillway release is 53280 cfs. Total discharge is 85761 cfs. Due to recent rainfall, spillway gates are open at Lay. Lake elevations are always subject to change, depending on conditions. Mitchell spillway release is 55026 cfs. Total discharge is 92520 cfs. Due to recent rainfall, spillway gates are open at Mitchell. Lake elevations are always subject to change, depending on conditions. Jordan spillway release is 49388 cfs. Total discharge is 70028 cfs. Due to recent rainfall, spillway gates are open at Jordan. Lake elevations are always subject to change, depending on conditions. Due to heavy rainfall, Smith Lake is could reach near summer pool level around Feb 24-25. 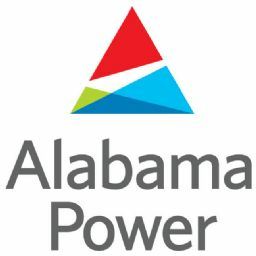 Alabama Power will provide periodic lake level updates. Lake elevations are always subject to change, depending on conditions. The "Lake Conditions Message" has not changed since February 17th where it was reported lake levels could reach near summer pool levels. Lake Martin is further south and did not receive the rainfall amounts that North Alabama received.